I forgot to read the note that describes the game. 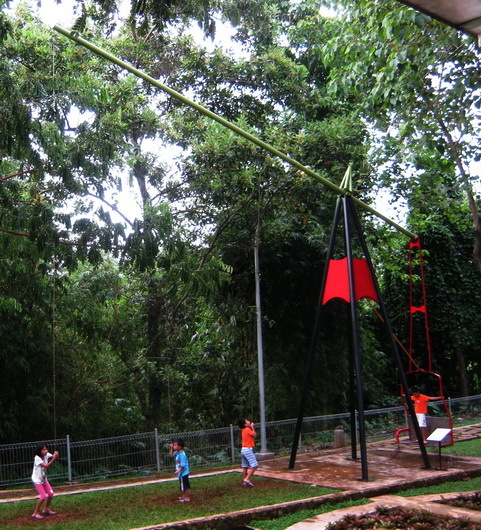 To lift up the chair, it needs cooperation of three other kids to pull down the ropes simultaneously. Captured at the Eco Art Park, Sentul City, Bogor Indonesia. Woo! This looks like an interesting experience! Lots of red happening here too! Great game and happy kids. Is that a bamboo? Nice shot Lina.